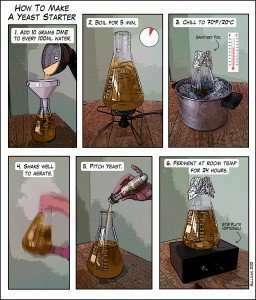 Making a yeast starter is an easy way to greatly improve the quality of your beer. It will provide your yeast with proper nutrients, oxygen, and time to grow and remain healthy. 1. Add 10g DME per 100 ml water. 2. Boil for 5-10 minutes to sanitize. 3. Remove from stove, and drop to room temp. *If you don’t have a stir plate, you can help the process by shaking the starter as often as possible. One approach could be to leave the starter in the hallway and having roommates/family shake it every time they pass. 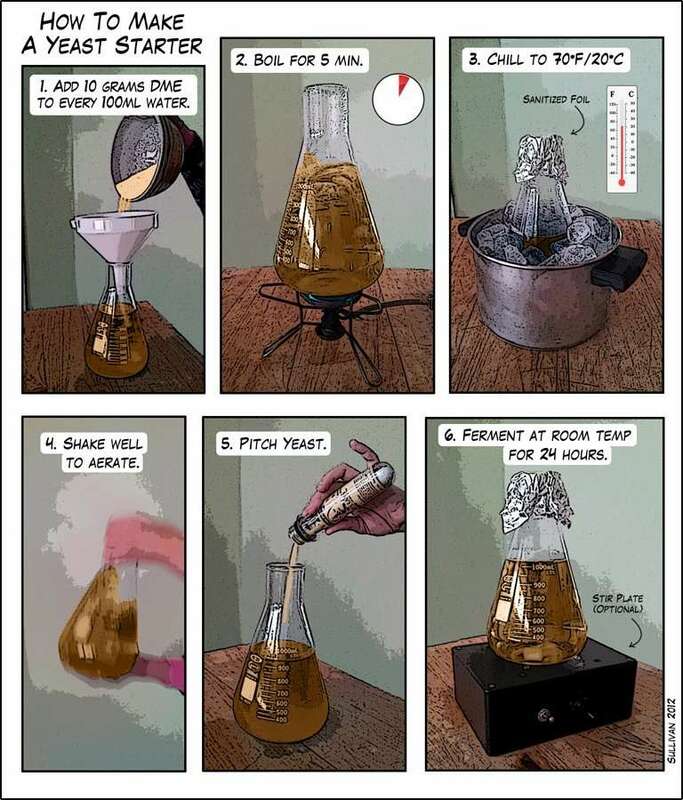 The ideal time to prepare a starter is 4 days, but if you don’t have time, or are brewing on a whim, even the day of provides some added benefits.